Disclaimer: Considering this story in mind, please dont bug me if the people behind this ad. are not reliable. Its shared here purely in the context of photoblog and the way innovative minds advertise their services in Karachi, a city well known as Business hub in Pakistan. interesting banner…. !not interested in the ad at all…..relax. what I don’t understand is why and how the owner of the bus allowed the banner which covers the idiosyncratic paint job worth a fortune…and usually the owners and drivers are quite boastful about it… fishy indeed! The catch phrase “WikiLeaks—Butterfly doesn’t” being advertised for female sanitry pads on some bill boards in Karachi seems to be a safe bet. 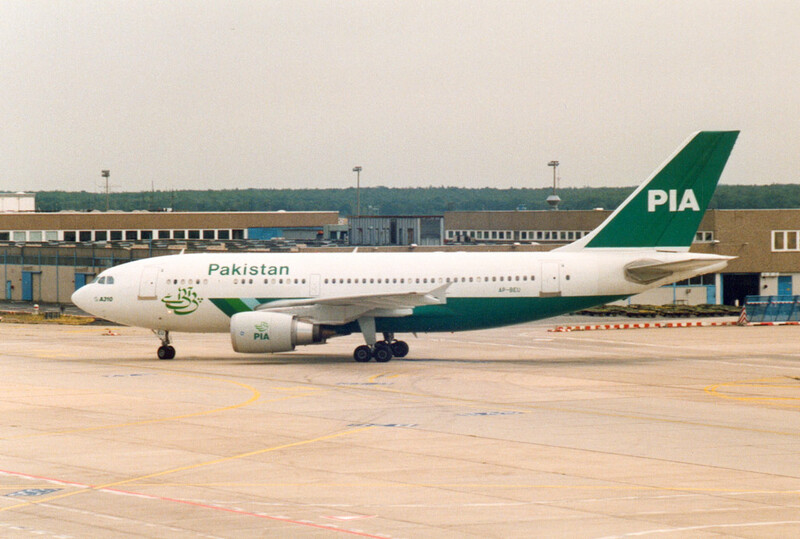 today i experienced two unbelievable phenomenons ….first early in the morning before 12 noon a large PIA plane flew over my head….with PAKISTAN written in bold green near the front landing bay….and also this plane had a green tail….haven’t seen that in years…. and for my isha vitr prayers I got a complete pin drop silence and takhlia…. Balma is bit confused between vitr and taraveeh! That’s it. You are with it your prayers notwithstanding. wasiq1 (wasiq) on February 6th, 2010 @ 5:07 am … usually when I pray the wittar of Isha somebody somewhere near or far makes the sound ..very rarely it happens that I get to pray in a pin-drop silence…. KD, aap kay moonh say iss tarah kee tafseelee baataa’n soun kar mae achhanpaa (or something like this) ho gayaa! there must be some very good reason why KD did what he did he was only trying to help you….or maybe he completely misread you due to his ignorance of the co-relation between the two….he is absolutely correct about the stand alone thing ….except for the fact that during the holy month of ramadan all pro-taleban and pro-alqaeda offer the vitr prayers in congregation headed by imam after the taravee prayers…I don’t know the actual reasoning for it…but to me an extra mile on the same fare is a welcome thing…. being raised as a sunni muslim on the brinks of deobandi and barelvi divide and having a MFN(most favored namazi) status across the faiths and cultures….the reason for which I wish to keep a secret myself like KD….lol,I have come to a point where my final prayer of the day/night is identical according to both sects….but the pro-alqaeda offer vitr differently…and that I believe is the main reason for the protest….during my stand alone prayers at night. Free Julian Assange and Bradley Manning. Repeal the charges against Daniel Ellsberg for the “Pentagon Papers,” which ended the Viet Nam War. Internet tracking say amaan paaoo’n to arz hae, that, Julian’s cases are some of the most ridiculous charges I have ever come across. Even Pakistani police comes up with better trumped up charges. Comparing KD with Ramses in any way will be a blasphemous act. Good one. I liked this expression. You mean to say: Badlta hay rang aasman kasy kasy? Assure you there is no such thing. Mun apna purana papi hay barsoon maen namazi bun na saka. Yes, like stealing somebody’s bufflo. A favourite of Punjab police. Wait for the day when BP will charge someone for having moonh kaalaa with a buffalo while the buffalo was sleeping…I mean, wouldn’t buffalo wake up? Imeant PP for Panjab Police, not BP. 1. In that case they may charge him under many sections of PPC and Hadood Ordinace as well. 2. During a Balkan war a soldier was court martialled for doing moon kala with an osterich. At the end of the trial when asked if he had to say anything in his defence he said: If I knew you guys were going to make such a fuss about a bird I would have married the damn thing. 3. One time Bhutto wanted to put Chaudhri Zahoor Illahi (father of Chaudhri Shujjat Hussain) behind bars and asked the PP to do the needful. The PP as per their SOP charged him for stealig a bufflo from some one and put him behind bars.